Today I had the pleasure of shooting with Charlotte-Anne, who ranked in the Top 6 out of over 2000 Queensland entries for Miss World. Charlotte is moving on to the interstate level and wanted photos to use for both promotional use and to remember the competition. Makeup and Hair was done by Julieanne Edwards using Air Brush foundation. Julieanne changed Charlottes lips to a darker red as the sun went down as we moved from outside to inside. 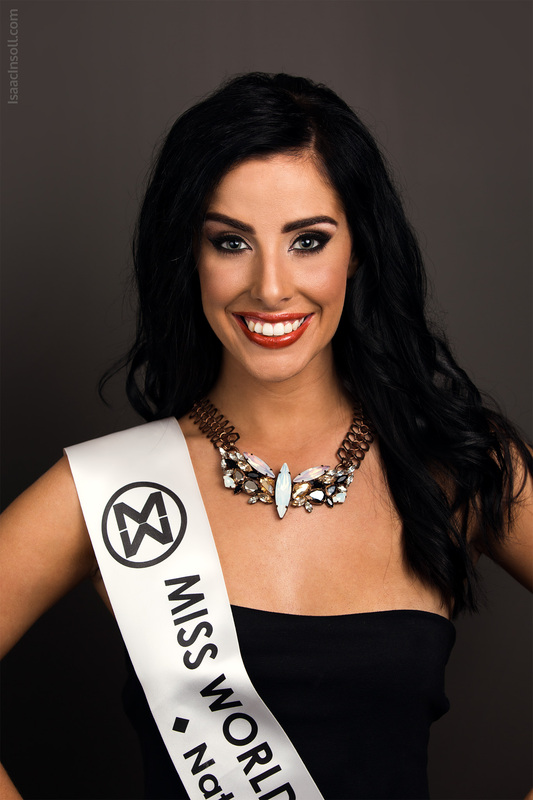 I had the pleasure of working with Isaac for my press photos for Miss World Australia and Variety the children’s charity. He was very professional and fun at the same time. He has a perfect eye for detail when it comes to lighting, angles and getting your confidence up and of course his photos are amazing! I highly recommend him to everyone. Thanks Isaac!